It might be cold and dreary outside, but there’s no better time to explore summer camp for your children. 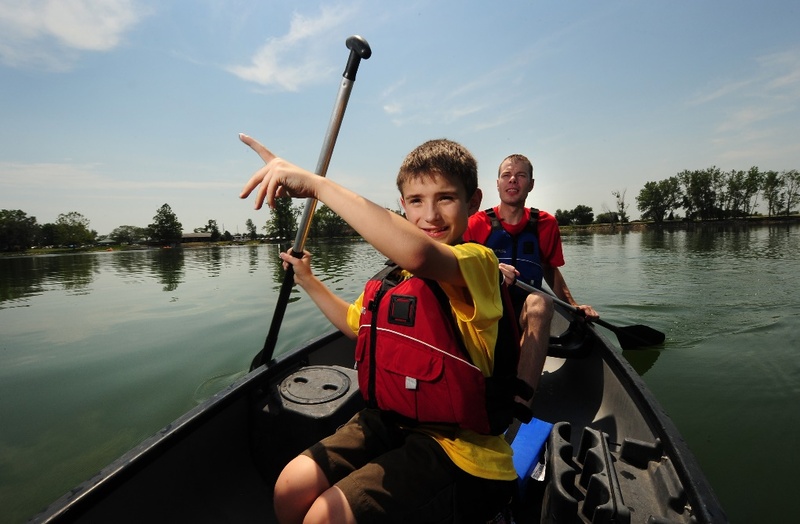 It’s important to find the right setting for your child, whether it is a day camp or sleepaway camp. To find a summer camp for children with special needs, there are additional factors to consider based on your child’s skills, interests and abilities. Special Needs is a comprehensive category that includes issues such as physical-care needs and orthopedic appliances to speech delays, learning disabilities and behavioral issues. For all children that fall within the special needs category, summer camp is more complicated than just sending in a deposit. –What would your child enjoy? Does your child have a passion such as animals or music? If so, you could look for summer programs that encourage his passion, such as a music camp or zoo program. –What skills is your child working on? A child who needs help learning to read could benefit from a program that provides specialized reading tutoring. If he’s been focusing on socialization skills, a noncompetitive camp setting with lots of interaction with other children could be a good opportunity to continue learning social skills. Consider the goals he has been working toward during the school year and how he could progress over the summer. –If your child has difficulty in new or unfamiliar situations, talk with other parents in your child’s class or neighborhood to see if your children could attend a program together. –Local park and recreation programs. Usually half-day or all-day programs, these often cost less than other programs but may have residency requirements. –Day camps. Religious organizations, schools and Ys offer day damps. They may have limited hours but might offer extended-day coverage. –Activity programs and workshops. Organizations like libraries, museums and nature societies offer short-term workshops in a variety of areas. –Overnight camps. These may offer stays by the week, month or all summer. Many are oriented toward specific activities such as sports, nature or the arts. –What is the program philosophy? Look for camps with clearly stated goals, that will be a good match for your child’s personality and will increase her sense of confidence and self-esteem. –How much training and experience do staff members have? Are staff members able to make needed accommodations? Can they effectively manage your child’s behavior in a way that makes you comfortable? –What is the ratio of staff members to kids? A camp with an adult-to-child ratio of 1:2 is very different than 1:10. –What kind of medical facilities or professionals are on site? Find out if a nurse is available and how medications are dispensed. Be sure the camp staff is trained to respond to medical emergencies such as seizures. –How will you communicate with staff members and with your child? For day programs, ask if you will have opportunities to speak with counselors at drop-off and pick-up time. Will staff members be available by phone or email? If your child will attend an overnight camp, find out how often you will be able to speak with him. –What are the sleeping, bathing and eating arrangements? For overnight camp, you’ll want to be sure your child will be comfortable and get the help she needs to be able to fully participate in the program. –Check references and learn what other families think of the program. Ask for advice in deciding if your child is ready. Parents should speak with a child’s teachers, psychologists and anyone on their team when deciding if a child is ready for camp, especially a sleepaway experience. A good barometer is if parents feel that a child has outgrown whatever they’ve been doing in past summers, it could be time to explore new experiences. Keep in mind that it’s okay to encourage a child to move out of their comfort zone and encourage a new experience. Some children who rely deeply on routine might never openly volunteer for a change but could ultimately thrive and learn in a new environment. However, you don’t want to send a child who’s going to be anxious or miserable to the point of being unable to participate. Interview the camp. While camps that focus on a particular disability or need tend to interview families, you need to interview the camp as well. Important questions to ask include: What is the camper-to-counselor ratio? How is staff selected and trained? Is there any therapy programming offered? Have past campers been eligible for extended school-year funding or insurance reimbursement? How does the camp handle homesickness or other needs particular to your child? Visiting a camp while it is in session is the best way to get a feel for the camp’s culture, philosophy and accommodations. Be honest with the camp about your child. Do not play down your child’s needs; you want to make sure everyone is on the same page. If your child has behavior issues, let the camp know. If your child is physically independent at the beginning of the day, but by evening needs far more help, make the camp aware of these things. Be honest with your child about camp. Take to him/her about homesickness and share your personal experiences with it. Let him/her know that is it natural but will pass. Being at camp can be wonderful, but going away from home can be hard, and there’s no reason to gloss over that issue with any child. Parents must also remember that it is discriminatory for a provider to tell you that your child cannot be admitted to a program because of her disability. If your child needs one-on-one assistance at a camp but the camp cannot provide this, your insurance company or state department that oversees the welfare of children with disabilities may be able to pay for an extra teacher, aide or counselor. With some solid research as well as conversations with your child’s teachers and other parents, you’ll be able to find the perfect summer camp environment for your child. Before you know it, you’ll be deep in preparation for that fun time—sunscreen, bathing suits and more! If you have any questions about your child’s development, reach out to us! You can call 516-731-5588 or reach us by email. Note: The information in this article is for informational purposes only. It is not an attempt to diagnose or treat any medical condition. Always consult your child’s pediatrician with any specific medical questions. MKSA is also available to answer questions about child development. Contact us at 516-731-5588 or visit our website for more information.. Confront homesickness head-on. On every parent’s mind, Sladden says, is the issue of homesickness. Asking straightforward questions about how it’s handled at camp will benefit both adults and the campers who might not have the words to express their anxiety. Find out how the camp acknowledges and normalizes homesickness so the child stays goal-focused (say, achieving a level in swimming or going on a 3-day trip with pals) and time is framed in a positive way. You’ll want to look for a camp that lets your child express feelings out in the open, Sladden advises, and helps them realize that time spent away from camp is short, sweet, and worth taking advantage of. Thank you for your comments. You raise some good points; homesickness is most definitely an issue that will arise and learning how to handle that is important–for both the camper and the family.